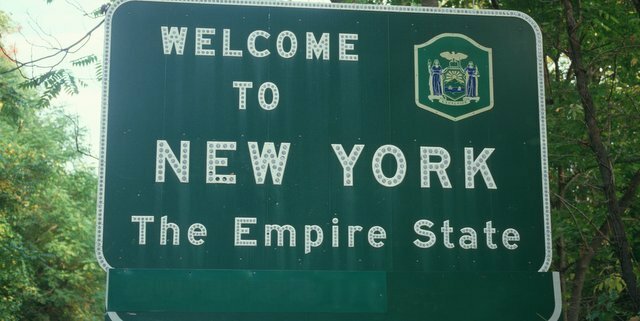 At the Governor’s Wine, Beer & Spirits Summit last October, owner Nick Matt was very vocal about the lack of support for NYS beers at the state fair. As a result, at this year’s fair several venues and incentives were created to highlight New York State products. New York Governor Andrew M. Cuomo likes beer, and if we ever meet up, we’ll buy him one (or five). In October, the governor has already celebrated 15 craft breweries throughout the state. He recognized Saranac-brand beer makers F.X. Matt Brewing Co., specifically its Chairman and Chief Executive Officer Nick Matt for his leadership in growing the craft beer industry at a special Oktoberfest Celebration, Thursday, Oct. 3, at Brooklyn Brewery. Nick was awarded the “Pioneer in Industry Award.” This is the first award of its kind given by the Governor (bravo Matt). In similarly cool news: 14 farm breweries using local agricultural products opened across the New York State since the creation of a Farm Brewery License. On Oct. 9, Governor Cuomo welcomed these newly-licensed local farm breweries that have opened since the governor signed legislation that took effect in January 2013. 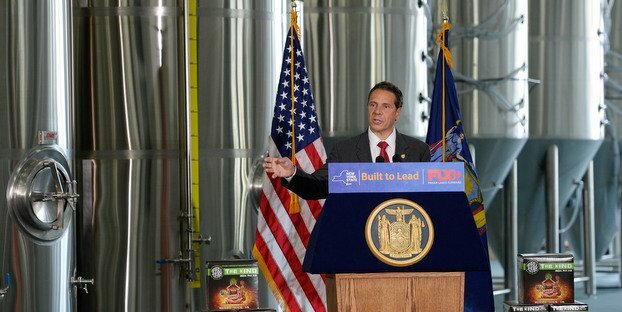 The “Farm Brewery” license allows craft brewers that use products grown in New York State to operate in a similar fashion to the state’s farm wineries, which according to Cuomo, leads to increased demand for locally grown farm products as well as expanded economic development and tourism. Additionally, the Governor announced nearly a 100-percent increase in microbreweries across the state over the past two-plus years. In the first quarter of 2011, there were 51 licensed microbreweries across New York State; today there are 93. In July 2012, Governor Cuomo signed legislation to support and strengthen New York’s craft breweries. Under the new law, in order to receive a Farm Brewery license in New York State, the beer must be made primarily from locally grown farm products. Until the end of 2018, at least 20 percent of the hops and 20 percent of all other ingredients must be grown or produced in New York State. From Jan. 1, 2018, to Dec. 31, 2023, no less than 60 percent of the hops and 60 percent of all other ingredients must be grown or produced in New York State. After January 1, 2024, no less than 90 percent of the hops and 90 percent of all other ingredients must be grown or produced in New York State. Under the farm brewery license, brewers do not need an additional permit to serve beer by the glass, which has the highest return for brewers in terms of sales. Farm brewers can also make cider and serve that cider by the glass. They are allowed to have five branch offices, where they can sell their products and other New York State labeled beer, wine and liquor, in addition to having tasting rooms, retail shops and restaurants. The farm brewery legislation is also helping to grow the state’s agricultural sector. This year’s hops acreage is currently at approximately 140, which is double the amount of last year’s number of acres. Growers have already invested more than $2 million in hops production over the last two years. When investments in tractors, buildings, harvesters and malt houses are factored in, this investment is much higher. The current state budget includes $40,000 for the New York State Agricultural Experiment Station in Geneva to establish an acre of disease-free certified hop varieties that are of particular interest to the New York hop industry. The hop varieties were certified as part of the USDA National Clean Plant Network Program. Research is being conducted at the Station to determine how well the hop varieties perform and what practices need to be implemented to control major diseases and pests that can threaten hop production in New York. The planting will provide opportunities for faculty and hop growers to interact in research that will be essential for the growth and prosperity of the industry. In addition, more than $117,000 in Consolidated Funding Application dollars is helping New York Craft Malt in Batavia purchase equipment and machinery. New York Craft Malt will use locally-grown, malt grade barley at the facility. Speaking of growing, state-focused craft breweries, F.X. Matt Brewery has long worked to support the New York State economy by partnering with other State-based companies, supporting local agriculture, giving back to local charities and sourcing local ingredients whenever possible. The company is pleased that Governor Cuomo is taking an active role in trying to develop the craft beer business in the state. At the Governor’s Wine, Beer & Spirits Summit last October, owner Nick Matt was very vocal about the lack of support for NYS Beers at the State Fair. At this year’s fair, as a result of Matt calling attention to this issue, several venues were created to highlight New York State products and several incentives were put into place. This helped increased F.X. Matt sales at the fair by 50 percent. The F.X. Matt Brewing Co., brewers of Saranac beer, was founded in 1888 in Utica, N.Y. Today, under the leadership of Nick and Fred Matt — the third and fourth generations of the Matt family — the brewery is celebrating 125 years of brewing. The Governor’s office invited more than 20 craft breweries from across the state to showcase their Autumnal offerings at this private event. The goal of Thursday’s celebration was to educate and engage buyers from the hospitality and tourism industries on the quality, diversity and accessibility of New York State craft beer.